Our Cloud-based managed IP telephony service is a hosted VoIP service designed specifically for businesses. Unlike the traditional approach of installing a physical PBX system at each office, all telephony switching equipment is hosted at our secure data centre. The high quality VoIP service is then delivered over our IP network direct to your offices, with SIP phones connected to your office LAN. The Cloud-based design of our hosted IP telephony service is particularly suited to dynamic and growing organisations as it can be quickly changed to fit your requirements, and staff at home or remote offices get exactly the same functionality as their head office colleagues. Needless to say, our cloud telephony packages integrate seamlessly into SW2 allowing the recruitment and telephony experience to be further enhanced. Traditional voice telephony involves the installation and rental of BT lines, PBX system, support or maintenance charges. Our managed service model is different: There are no upgrade or maintenance charges. 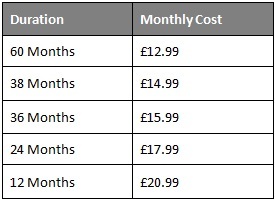 It’s a straightforward monthly licence fee on a per user basis. Free Rented Handset & Only £25 Connection & Setup Per User. 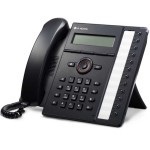 A SIP phone is a marketing term for voice over Internet Protocol (VoIP) services and simply means the ability to make telephone voice calls using your Internet connection instead of a BT line. The majority of the call is made over the Internet thereby significaly reducing the part over normal telephone lines. This reduction means the calls are a lot cheaper. Fill out this quick form and we’ll call you back to guide you through a live demonstration.